Cities that ban certain dog breeds would have to provide an appeal process for owners under proposed legislation that makes exceptions for good dogs of outlawed pedigree. 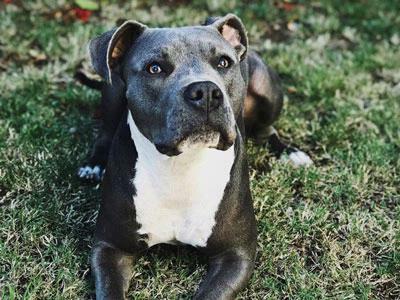 According to DogsBite, a nonprofit organization that advocates for victims of dog maulings, 28 cities in Washington have ordinances that restrict or ban ownership of pit bull terriers, or declare the entire breed as "potentially dangerous" or "dangerous." House Bill 1026 originally aimed to prohibit a ban on specific dog breeds in local jurisdictions. But a substitute bill that passed through committee on Thursday would still allow the breed bans, but requires jurisdictions to implement an appeals process. "People make dogs dangerous, dogs aren’t born dangerous," said prime sponsor Rep. Sherry Appleton, D-Poulsbo. "It’s discriminatory to tell someone that they can’t live in your town because of the member of their family." Through the appeals process, specific dogs may be exempt from the regulations if they pass a canine behavioral test. If the dog passes, it would be exempt to possession prohibitions for two years, and subject to a retest to maintain the exemption. If the dog fails the test, it may retake the test within a reasonable period of time. Representative Jenny Graham, R-Mead, voted yes on the bill as it stands now, but does support local jurisdictions being able to create breed-based bans. "At one and a half I was bitten by a German shepherd—I bear the scars still—eight times in the head and face. I’m lucky to be alive, and that was a German Shepherd," said Rep. Graham. "With the bigger dogs that are capable of hurting or killing there needs to be some protection there. The bill was voted out of committee 8-2 with a "do pass" recommendation, and has not been scheduled for a floor debate. City of Snohomish Chamber of Commerce Member in good standing.